A recently leaked image suggests that one major design change on the iPhone 11 is applied to the rear-facing cameras. Meanwhile, it is also not expected to arrive with 5G compatibility. The said image was first spotted by CompareRaja where four color variants of iPhone 11 are shown. But the more intriguing aspect of the photo is how the rear cameras are placed. The leaked photo allegedly showing how the iPhone 11 could look has a triple camera setup placed in the center and horizontally aligned. The same report notes that this is one of two prototypes for iPhone 11 that are currently in the phase of Engineering Validation Test. The other prototype also has three cameras at the back placed vertically along with an LED flash. It is believed that either of these leaked images represents the final design for iPhone 11. Some details supposedly revealing some features and technical specs of iPhone 11 were also leaked. The upcoming device could be released on color variants Silver, Gold, Space Grey, and Blue. It also appears that Apple will ditch the Lightning port for the USB-C type. This would be a major leap in iPhone 11 since Apple has been using Lightning ports on its smartphones since 2012. One interesting detail was also revealed by the leak. The description for iPhone 11 reads, “Won't support 5G.” Several premium Android smartphones are expected to be released in 2019 with 5G compatibility. So it is a little bit of a surprise that Apple would pass on that too. 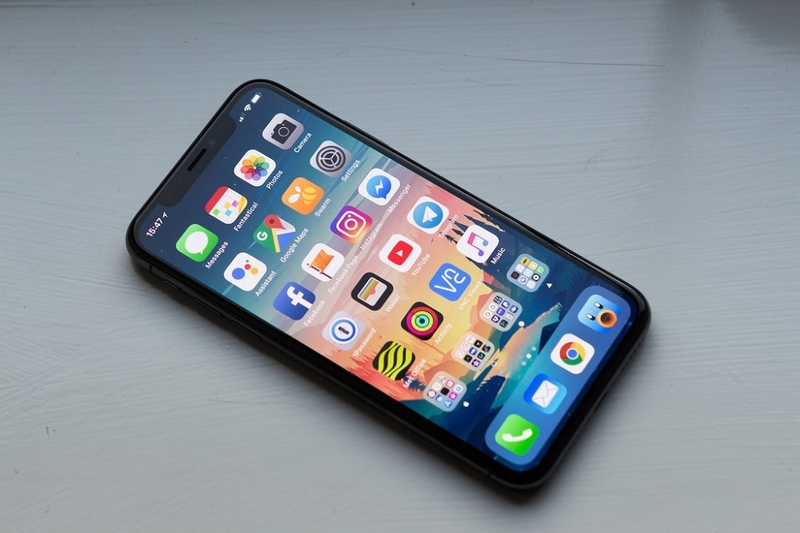 However, it is also understandable why Apple would want to wait another year or so before introducing a 5G-ready device. All over the world, the telecom companies that offer 5G are still rather limited even in large markets like North America or China. So Apple could be thinking that a device without 5G connectivity might not discourage the consumers from buying iPhone 11. Apple is expected to unveil at least three iPhone 11 variants in September. But it is safe to expect a retail release date like what happened with iPhone XS and XR.